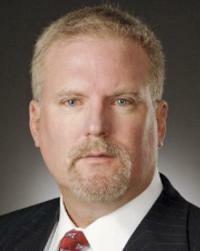 Attorney Jeffrey M. Sangster is a founding member of Kotz Sangster. For more than 30 years, Jeff’s practice has focused on all aspects of construction law, from construction contract drafting and negotiations, contract review and risk analysis, to claim resolution through litigation, arbitration, facilitation and mediation. He has an intimate understanding of contractors and their business objectives, with specific knowledge and experience in design, site work, foundations, structural steel, masonry, electrical/mechanical, roofing systems, finish trades, etc. Jeff sits as an arbitrator on the Construction Panel for the American Arbitration Association and is afforded the opportunity to view a construction dispute from both sides of the table, which is of significant benefit to his clients. An active member of the Michigan Infrastructure and Transportation Association (MITA), Jeff also belongs to the Associated General Contractors (AGC) and the Construction Association of Michigan (CAM). Additionally, he serves as the Chairperson for The Salvation Army Harbor Light, Chairperson and founding member of The Salvation Army Outdoors, as well as a member of both the Advisory Board and Executive Committee for The Salvation Army, Eastern Division of Michigan. A graduate of Michigan State University, Jeff received his J.D. from Wayne State University Law School. He is rated AV-Preeminent by Martindale-Hubbell, which combines client reviews with lawyer ratings that evaluate ability and ethical behavior, has been named a Michigan Super Lawyer continuously for the past ten years, and has been listed as a Top Lawyer by DBusiness. Jeff and his wife, Sherry, make their home in St. Clair Shores where they are active boaters and enjoy leisure time on Lake St. Clair. Jeff is also an avid hunter.